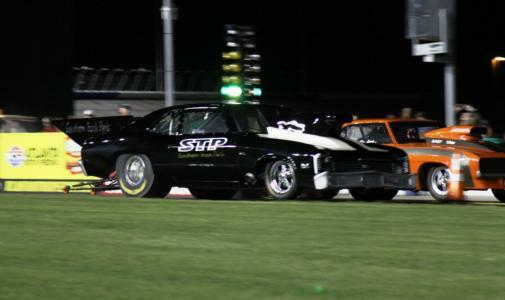 Atlanta Motor Speedway's popular street-style drag racing series, O'Reilly Auto Parts Friday Night Drags, returns next Friday night, kicking off its 12th season of high-intensity, side-by-side competition on the famed pit-lane drag strip. Now one of the largest organized drag-racing series in the country, the summer-long racing series heralds competition among 18 different divisions, featuring a massive array of cars, trucks, motorcycles and ATVs. Vehicles competing range from supercharged dragsters and hot rods to daily drivers and stock vehicles seen navigating local streets. Drivers battle in a nightly, single-elimination tournament for trophies, bragging rights and season championship points. The 2018 season of O'Reilly Auto Parts Friday Night Drags will feature 15 dates, with opening night May 11, and running each Friday through Aug. 24, with the exception of May 25 in observance of Memorial Day Weekend. The 2018 season also boasts a robust, spectator-friendly promotions schedule, kicking off with a magnet-schedule giveaway sponsored by Rinnai on Opening Night for the first 3,000 through the gates. Kids Power Wheels Racing will follow in Week 2, while the season's points opener will take place June 1. June 22 and August 3 will both feature $1 concessions nights, while "Atlanta's Holy War on Wheels" will pit local clergy for a "Faster Pastor" competition on June 29. A special, patriotic edition of Friday Night Drags will take place on Independence Day, Wednesday, July 4, with the Papa John's Pizza Fireworks Extravaganza, one of the largest pyrotechnic displays on this side of the Chattahoochee, once the sun goes down - with a full lineup of mid-week drag racing to follow. The Southeast Gassers Association will visit during the following week on July 13, featuring an impressive lineup of guttural, 1960s dragsters for a special "throwback" division of nostalgic racing. Other special promotions include another Power Wheels Racing night July 20, the "Night of Fire" with special appearances by the earth-rattling Jet Dragsters on July 27, and Nitro Pro Bike Night Aug. 10, each of which will energize fans with an awesome display of power and pageantry. The season will conclude with its Championship Night, crowning 18 division champions, on Aug. 24.